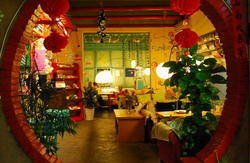 The Climbers' Inn is a friendly, family-run hostel for climbers, backpackers, and other tourists with 9 rooms. It provides safe, clean, and affordable accommodations, only 10 seconds away from West Street. It's also a great place to meet climbers from all over the world! 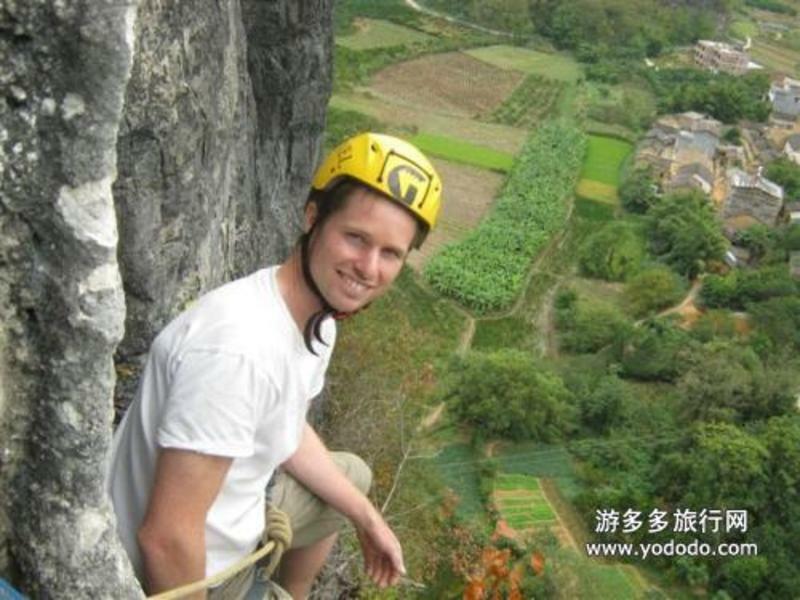 Just down the street is the Karst Caf and China Climb which provide information on climbing around Yangshuo and adventure guides. The front desk can assist in both Chinese and English languages for Yangshuo tours and other information needed. 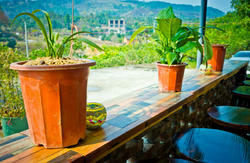 You can choose from a variety of rooms including: single private room, double private room, and dormatory style room. Rooms sleep between 1 and 4 people. Prices range from35yuan-80yuan, excluding National Holiday, May Holiday, and Spring Festival (please call for holiday prices). All rooms include private western style restroom, air conditioning, fans, cable television, and WiFi internet access. The Climbers' Inn has 24 hour hot water, 24 hour reception, daily housekeeping of rooms, can arrange for airport transfers, and will provide laundry service for guests. Seeing the light show (the impression of liusanjie) and even going cormorant fishing. 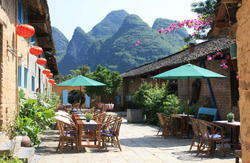 Yangshuo is not a big place, so the Climbers' Inn is easy to find. From the main bus station, turn right (east) out of the station onto Diecui Road (Main Street). Walk along this road for approximately 10 minutes (average speed) until Xian Qian Street and turn right. You will see a bridge to walk over and a sign for Spiderman Climb that stands out. insight adventrues will be on your left, Turn right down the alley directly opposite of insight adventures, next to MC Blues Restaurant, to find the Climbers' Inn. Alternate directions from the main bus station, take New West Street southeast to West Street and walk east towards the Li River for about 10 minutes. Turn left on Xian Qian Street, where you can see a sign for Spiderman Climb that stands out. Walk along this street for a couple minutes, past Buffalo Bar on the right, to China Climb on the right. Turn left down the alley directly opposite of China Climb, next to MC Blues Restaurant to find Climbers' Inn. If you take a boat from Guilin to Yangshuo, once you depart the boat at the dock, walk straight for approxiately 10 minutes along the river, which will be on your left. You will reach Diecui Road, just after the River View Restaurant and Hotel, and turn right. Take your first left on Xian Qian Street, and go over the bridge. To make sure you are on the correct street, look for the Spiderman Climb sign. Walk towards insight adventures and MC Blues Restaurant. Turn right down the alley directly opposite of insight adventures to find the Climbers' Inn. The Climbers' Inn also has a free pick up service available if you are not able to find it on your own. Please call or text .